Thanks to all our attendees and speakers! Listen to a recording of the live teleconference. 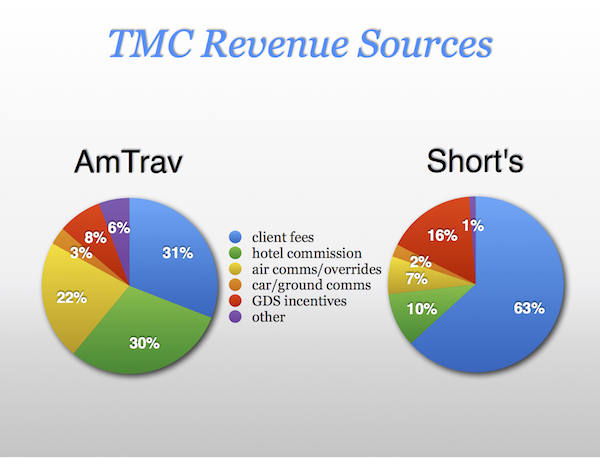 During the sold-out Teleconference 5 AmTrav CEO Jeff Klee and Short’s Travel Management CEO David LeCompte talked about the differences in how their companies generate income, as illustrated below. They also talked about expenses and pricing. Meritor global travel manager Jack Reynaert detailed his travel management program which uses the ARC CTD model. CTBR managing director Don Swartz commented on the TMC data and offered his views on client pricing and RFPs. And Festive Road managing partner Paul Tilstone updated his own research from several years ago on TMC remuneration. 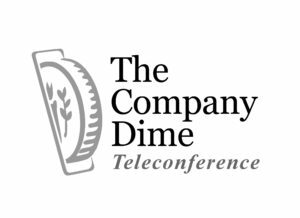 Find information on other upcoming Teleconference episodes and download previous ones here. How travel management companies are compensated has been a focal point of industry change for decades. Most recently, American Express Global Business Travel revealed a new fee to cover the costs of processing bookings with certain airlines. These airlines may be hard to book. Or they may pay less in incentives either directly to the TMC, or through the GDS in the form of segment fees. New information on GDS incentive fees paid to TMCs by Sabre reminds the veterans and informs the newbies about this normally under-the-radar revenue line. Hotel revenue is a big part of the picture. So is the cost of labor. Tech partners including online booking tools are in the mix. New applications of artificial intelligence could play a role. For corporate buyers, all this plays into the structures of contracts with TMCs.